Facebook is currently in a world of trouble after news about how a chunk of data harvested off it was used by an analytics firm, Cambridge Analytica, to generate insights allegedly used to help current United States President Donald Trump win the elections in 2016. While many observers wonder whether this attention is due to the closer-than-normal scrutiny from the media Facebook has attracted over the last couple of years as Democrats scrambled to find a scapegoat for that defeat, Facebook’s predicament has opened up a debate bigger than mere data privacy issues — how much insight into the human condition does humanity really need? Advanced analytics applied to data collected from ordinary people’s interaction with social media sites like Facebook reveal stuff about us we are not fully-aware of at a conscious level. It’s like being shown a mirror that is able to reflect the person behind the face. Harvesting insight from social media data is a breakthrough in behavioural science because it allows us to see past the public persona and into our private and even subconcious chatacter. Unlike data collected from surveys and polls, data from social media interactions are more representative of natural behaviours, preferences, and inclinations — because, whereas we are conscious about what and how we respond to a survey, how we interact with, say, Facebook is uncontrived and driven by deeper personal motivations. As a result, social media data is unprecedented in both its richness and quality of representation. Facebook may as well be singing these lyrics from the 1984 hit “Talking in your sleep” by The Romantics to its users. From seemingly benign interactions with content that appears on our Facebook feeds — what we like, what we subscribe to, what we comment, who we interact with the most, what we search, etc. — data is captured and accumulated in Facebook’s data banks, each data point a pixel that goes on to take its place in an ever-clearer picture of what our inner thoughts are and what drives these thoughts. Don’t you know you’re sleeping in a spotlight? The girl has no idea of course. But her guy does and, most likely, acts on the information he collects from these nocturnal listening sessions. In a sense, we are virtually asleep in bed with Facebook and the reason we are so enamored with it is because it acts on inside information about us that we may not even be aware about. The girl in the song probably feels like her man does all the right things and pushes the right buttons all at the right times. Consistently. Just like Facebook today. Multiply this more than 50 million times — the number of users that comprise the data set that fell into the hands of Cambridge Analytica — and we get a virtual spot-on statistical sample of the psyche of an entire society. In the hands of a politician hungry for votes, this translates to precise knowledge about all the right things to say, all the right buttons to push, all the right times to say and push said things and buttons. “Inner demons” is how whistleblower Christopher Wylie reportedly described what they learned about the average US voter from the work they did analysing this data. In a sense, perhaps Donald Trump represents the embodiment of America’s “inner demons” if, as is evident, the quality of the data used is such in its richness, scale, and depth and breadth of representation as only a firm as intimate with its customers as Facebook is could collect. This raises the question of whether we really want our democratic politics to reflect what the electorate really think, including the demons that inhabit those thoughts. It is interesting that the losers in this unprecedented use of personal data to influence an election were the Democrats. Liberal ideals, after all, are a recent innovation of human civilisation with the bulk of human history characterised by life under conservative regimes. Perhaps Facebook data reveals that Americans remain, at heart, a conservative people and that the degree to which liberalism is embedded in America is an illusion created by inhabitants of its affluent coastal cities — a clever mass hypnosis that owes its success to these liberals’ access to and control over conventional mass media and the “popular” culture piped through it. As their brethren in Silicon Valley trumpeted back in the early 2000s, the “new media” (what social media was called at the time) had “empowered” ordinary folk by giving them access to a wealth of information that bypasses traditional media channels — the very infrastructure that liberals actually relied on in the last 200 years to sustain their mass hypnosis of the American public (if it was such). These hipsters even cheered the crumbling of capital-intensive brick-and-mortar media organisations as they grew the value of their share portfolios snapping up Facebook and other social media stock. The shadow indeed knows. Traditional media exhibits stuff people say with eyes wide open in front of a camera with a mike thrust before them. Social media, on the other hand, reveals stuff people say while talking in their sleep. 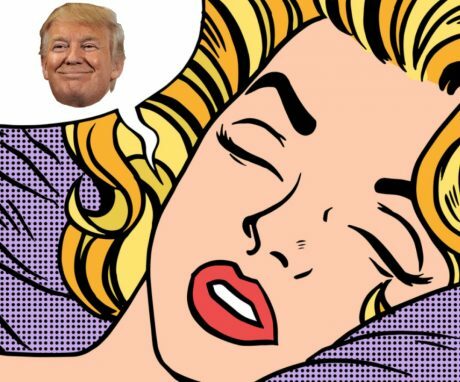 Unlike the guy singing to his girl in that 1984 song, many of the truths revealed about us when we talk in our sleep is not as nice to hear and, perhaps, need to be “regulated” if, at least, to assure us that hard-fought-for liberal ideals meant to counter our inner demons — and even inner savagery — persist in our civilisation. Predicted you would write about this. Did you know that in 2008 and 2012 that Facebook and Mark Zuckerberg personally helped Obama with his elections by “sharing” millions of user data to the DNC? not surprising that Filipinos and average day users of Facebook do not know or do not care that you aren’t the consumer, you’re the product along with your information that can be used by Companies to sell their goods, which has been going on for years but in today’s age of Liberal SJW Resistance, it’s bad when Trump does it, now there’s calls for boycotts and regulations for Facebook when Politicians, Governments, and Companies have used those data for their own interests and they got away scot-free for years and Facebook shares went up the roof, now because they lose an election, they now care about Russian encroachment, the hypocrisy never stops when this all just a ploy to target the person they did not want that won the president election, much like the Yellows here and their globalist resistance to Duterte. Lastly, that article here about Facebook and Mark Zuckerburg as heroes because they didn’t give a damn to Maria Ressa’s whining about “Taking the internet back”? they had bigger issues than a small fry clickbait journalist. Yes, I heard of that collaboration between Facebook and the DNC. And even without that at the back of my mind, I can’t help but think whether all this is now being given the media attention it is getting because the liberals (who disproportionately control mass media and Hollywood where much of the content throughput comes from) may still be smarting from the catastrophic upset in the polls they suffered in 2016. Although there was no similar analytics exercise of the same scale and sophistication that happened in 2016 Philippine elections, the liberals (a.k.a. the Yellowtards) are behaving in the same butthurt manner in the way they selectively lash out at things they perceive as potentially viable scapegoats to which they can externalise their loss and, to that end, conscript the same mainstream media channels to the “cause”. This expose is a dangerous political attack posing as journalism, Cambridge Analytica only worked for a couple of months with the Trump Campaign and they stopped working with them 4 months before the election, now that entrapment video on some CA officer bragging and overselling what they did like an evil villain is “conclusive proof” according to these hypocritical liberals, politicians, and media about how Trump “stole” the election from them, this is amazing, a political outsider from establishment politics is getting hit harder than the last Politically Correct and Desente President Obama, the whole liberal world is stacked against him, and Facebook has two choices, either let Mark resign and have someone sympathetic to their cause be the head of one of the world’s largest social media site or accept Government regulations and investigations that can destroy the company, even Mark is hiding somewhere with reports that he sold half a billion of dollars worth of stocks before Facebook shares plummet. And if you ever see social media right now, the typical liberal is “Shocked and outraged” for Facebook’s datamining habits and their selling of that information to anyone. @Tenor, to be fair, though, Facebook’s troubles began way before… when it started to implement algorithms that intervened in the way content showed up in our news feeds. Before that, everything appeared on our feeds on a first-in-first-out basis. Once these algorithms were implemented and started deciding for us what we wanted to see, Facebook lost access to any avenue to invoke plausible deniability over the way this feed behaved when it intervened with these black box algorithms. It also screwed over the many publishers, marketers, and content producers who invested money and effort building a subscriber base on Facebook pages by progressively tweaking this algorithm in a way that deprioritises the content released via these pages, forcing their owners to pay for improved chances of showing up in their own subscribers’ feeds So I wouldn’t bet on Facebook getting back on the good sides of media anytime soon. There’s blood in the water, a lot of people want to see it fail, but we’ll see what happens in the next few days, Google could and possibly replace it, but I don’t trust these tech companies that have too much lobbying power and information control in the internet, they have too much say in how things are run in the US’s convoluted bureaucracy. US President Donald Trump didn’t use Facebook but he’s very active on Twitter as a sole weapon for his political propaganda machine. Our president, Duterte doesn’t use either Facebook or Twitter in spite that he have an official account on those social media but his followers or the so-called DDS (Duterte Diehard Supporters) will do their job to run his political propaganda machine against his Yellow opponents through Facebook, Twitter, Instagram & Snapchat. I believe the point here is that the idea that “mind control” was used on the populace who voted for Duterte and Trump is baloney. I’d say people voted for the terrible choice deliberately. Jonathan Pie’s piece captured it perfectly: “it’s a terrifying change, but change nonetheless.” They wanted a terrifying change, or they voted the choices that they know will terrify the people with opposite persuasions. So saying that priming people using Facebook, Twitter and other stuff as “mind control” doesn’t hold water. The Internet merely served as the communication and expression device, but the people’s minds were already made up offline. Unfortunately , my computer is off, when I go to sleep. And, my wife told me, I do not talk in my sleep. Most of those Facebook users, use , assumed names or fictitious names. They also put wrong addresses; wrong birth date; wrong gender; and others. This is their protection against intruding hackers, who harvest the data, they put on their FaceBook information. The Democrats in the U.S., are trying to fish for evidences of the “Russian Collusion” of the Mueller investigation. It is laughable, for the claim, of the Cambridge Analytica, that they can know how people think and vote thru their FaceBook interactions. That is like saying: they can read people’s minds. Hilary Clinton is a sore loser in the 2016 U.S. Presidential election. She lost to U.S. Pres. Donald Trump. Hilary is trying to find people to blame for her lost in the election. Well, U.S. voters, simply did not vote for her. They don’t like her. They voted for Donald Trump. Why can’t these people just accept their defeat and move on ? “Tyrant leader” like Obama and Bush? because they managed to sidestep all legislative and judicial process in pursuit of their agenda and self-interests and managed to create a refugee crisis along with destabalizing the Middle-East, but glad you linked to the Inquirer to inform us what to think. and “60%”? where did you get that number? you are one imbecile if you do not understand what the Electoral College was made for, because in the Philippines you can have Presidential candidates only campaign and care about Metro Manila and other urban areas while the backwater provinces in Mindanao do not have a voice and any candidate who wants to win should not care about those places, see the difference? the Electoral College makes sure that the ENTIRETY of the country has a voice in the voting process, but you, for whatever reasons facebook, wikipedia, and the inquirer told you, that the popular or having the most votes is important? no, then the only places like your idol Hillary Clinton cared about are San Francisco and New York. If Fedaralism is adopted, they better add an electoral college for the Philippines along with removing the worthless party-list system. There is a question on the 2016 election that illegal aliens voted i the U.S. Presidential election. There are sanctuary cities in the U.S., where Democrats protect illegal aliens. What is the reason they protect illegal aliens ? the answer is their votes ! Our souls may be consumed by shadows, but that doesn’t mean we have to behave as monsters.